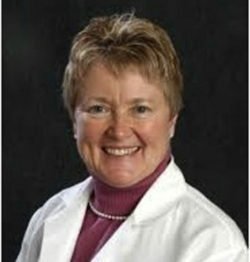 Dr. Sue O’Dorisio is a Pediatric Endocrinologist at the University of Iowa. She loves children and wants everyone to know how resilient children are. When she arrived at the University of Iowa, she set out to reactivate the pediatric hematology-oncology fellowship and obtained a National Institutes of Health (NIH) training grant. Her record of working with NIH funding as a principle investigator since 1976 enables her to mentor a steady stream of research trainees. Her research is now focusing on identifying cell receptors that can serve as theranostic targets for imaging and therapy of malignancies.